Acupressure is an ancient healing art that emphasizes the life energy of the human body for healing various physical and emotional problems. When our life energy is disrupted, our body also becomes disrupted. Biological functions enter a state of disarray, and various physical problems can emerge. Acupressure and similar energy healing techniques like acupuncture rely on balancing the flow of our meridian energy by stimulating certain acupuncture points around the human body. Each point lies along a meridian, or pathway, of energy. When you stimulate these points, they help balance the flow of energy through that particular meridian. This improved flow of energy can work wonders for our body. It can reduce almost all manner of physical symptoms, and in some cases even cure physical illnesses. It is also effective at relieving emotional and mental problems like stress. Do you have problems with your feet? Are your feet in pain after a long day of work or walking? Do you have some other issue with your feet? The good news is that acupressure can help. You can use the specific acupressure points below to encourage the flow of your inner meridian energy to specifically improve the functioning of your feet. This will reduce pain in your feet, strengthen the muscles of the feet, and provide all-around relief to any problems on your feet. Let's take a look at the acupressure points specifically chosen for treating foot problems below. Take note, most of these points will also help with problems in the ankles as well, such as ankle joint pain or a sprained ankle. 1. Kidney 3 - Located in the depression between your ankle bone and Achilles tendon. Use this acupressure point to relieve swollen feet. It will also reduce ankle and foot pain, and strengthen the ankle joint. 2. Kidney 6 - Located just below the ankle bone. This acupressure point will relieve pain of the ankle and heel. It will also reduce swelling and soreness of the ankles. 3. Bladder 60 - Located in the depression between your ankle bone and Achilles tendon. 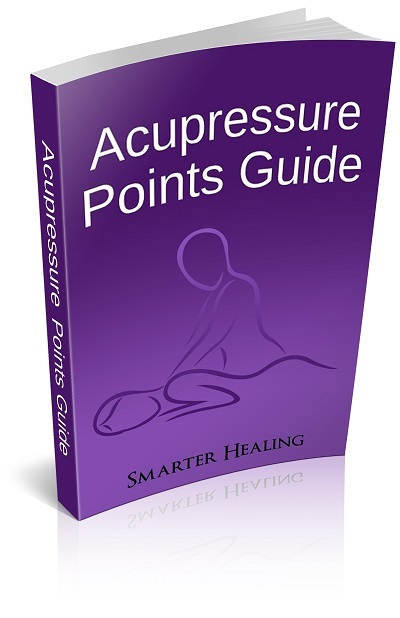 This pressure point will relieve all manner of pain associated with the feet and legs. It will relieve ankle pain, thigh pain, and rheumatism (chronic pain and inflammation) in the joints of the foot. This point will also help reduce swelling of the feet, and will even help reduce back pain as well. 4. Bladder 62 - Located just below the ankle bone. 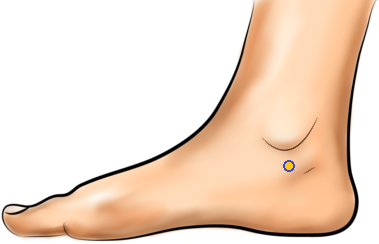 Use this pressure point to relieve all forms of pain in the feet and lower legs. It will reduce heel pain, ankle pain, and foot pain in general. As a fun little fact, people also use this point to treat insomnia. 5. Gallbladder 40 - Located slightly in front of and below the ankle bone. This acupressure point treats pain of the feet and ankles. It will help improve the performance of a sprained ankle and reduce pain from a sprained ankle. This point will help get rid of toe cramps, and sciatic pain (nerve pain) that is located in and around the foot. 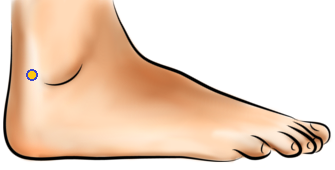 This point is the most effective acupressure point for healing a sprained ankle. If you have a sprained ankle, you should spend extra time putting pressure on this point during your acupressure sessions.